Katie MacAlister | Elaine Reads . . . constantly! 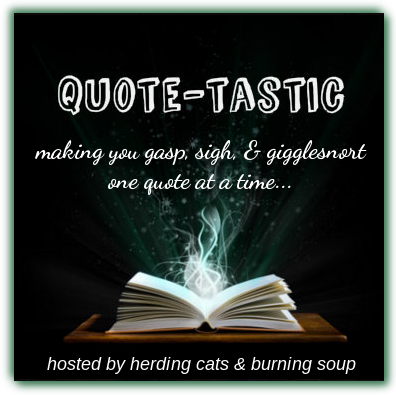 Quote-tastic Monday AND a Star Trek reference: what’s not to love? 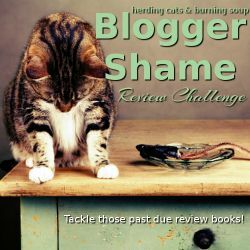 I am still in re-reading mode, although this time I blame my friend Patty Burdette. I loaned her my Aisling Grey series books and she loves them. So do I, so when she told me I had to re-read them so we could discuss them, I agreed. 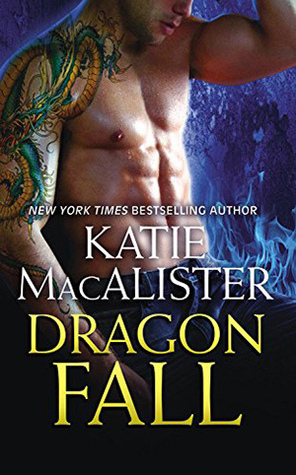 It’s been way too long since I read these books and I don’t think I have ever read the entire series including the Sept dragons straight through. And I lost it! This is the only Star Trek reference I remember, but the funny lines never stop. This is one of the funniest romance series I have ever read and I look for books with lots of humor. You really need to give them a try. By the way, the demon dog Jim’s real name is Effrijim, but he prefers Jim. He thinks his real name is too girly. I love Katie MacAlister because her books are funny. It doesn’t matter if they are historicals or paranormals, they are funny. This one however, may have slipped over the edge from funny to silly. Make no mistake. I like it. It is funny, but it’s also almost too much. I am going to offer up a random quote which really was just thrown in there. I laughed when I read it, but it doesn’t actually have a bearing on the story. The funniest parts to me are Kiya’s conversations with her own mind. Her foster mom is a psychologist and Kiya knows far too much about her id, ego, and superego. They argue with each other after all and she argues with them. Yes, that’s as insane as it sounds. One last thing: the description states the Travellers are outcasts. It’s more like they consider themselves better than anyone else and shun the rest of the world, both human and Other. They come off as real jerks. There are two more books in this series and all three were published in 2013, so I doubt there will be anymore. I am still debating with myself (I have no idea what my id, ego, or superego think I should do) on whether to read them. The book was fun. It just wasn’t all that great. If you are already a fan of MacAlister, give this one a try. If not, check out one of her other series. I highly recommend her Aisling Grey books. 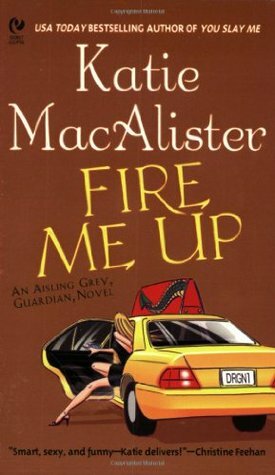 MacAlister’s books are always fun to read. The plots are enticing, but it’s really the humor which keeps me coming back. And by humor, I mean laugh out loud, wipe the tears from your eyes, humor. A Midsummer Night’s Romp is no exception. Sometimes the dialogue was so staged, it was almost too much. I mean, really, that’s a bit over the top. This sort of dialogue happens over and over again, but it’s not bad writing. It’s completely intentional. And then there are lines like these, which make me laugh out loud. There’s a villain, or is it two? A hidden treasure and a couple falling in love. A horse crazy teenage girl who has manipulation down to an art . . . and a Roman archaeological dig. Somehow MacAlister makes it all work. You really need to read these two books in order. A lot of the background for “Romp” is covered in the first book and I can’t wait for book three. There’s no word yet on a title or who the book will be about, but there are plenty of characters to choose from. If you are in the mood for something light and entertaining, grab these books. Grab anything by Katie MacAlister. You will not be disappointed.